In the opening moments of Stranger Things 2, it becomes immediately clear that Eleven née Jane isn't the only superpowered woman with a penchant for nosebleeds in the right-side-up universe. The cold open introduces "008," who we'll later learn is Kali, another escapee from the Hawkins lab. 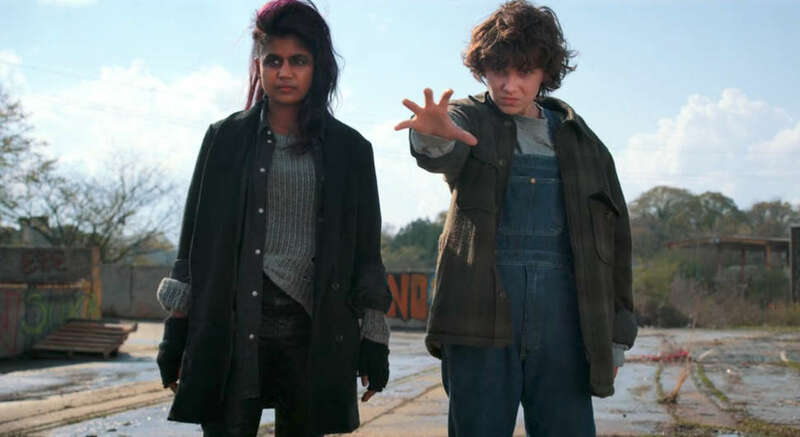 But whereas Eleven found world-saving purpose and a makeshift family, Kali is a rogue on a mission to violently kill all the people that tortured her. For 24-year-old actress Linnea Berthelsen, a major Star Wars fan, there was an easy pop culture analogy to be made: If Eleven is the Luke Skywalker of Stranger Things, she's the Anakin. After that initial appearance, Berthelsen's 008 goes away until the seventh episode, when Eleven heads out to look for her "lost sister" after peering into her birth mother's addled mind. Kali, whose gift involves the ability to alter perception, attempts to draw Eleven into her revenge plot, and teaches her to harness her rage to grow her power. The installment, a departure from the main plot, has proved divisive among viewers, so much so that creators Matt and Ross Duffer have defended their choice to do it in an interview with Entertainment Weekly. "There is a reason for this episode to happen and I think they deserve our trust," Berthelsen told Thrillist. "They know what they are doing." We spoke the Danish actress on the phone Friday -- and followed up with her via email over the weekend -- about Star Wars and the potential of a return. This interview has been condensed and edited. Thrillist: What was your first introduction to Kali? Linnea Berthelsen: I got a breakdown which I think was like four sentences. She was emotionally damaged, she suffered a great loss when she was a kid. She friendless and she has a hard time connecting with other people. I really just played with the character and filled in the gaps from that breakdown. Did you guess that she had supernatural powers from that? Berthelsen: No. I didn't know anything actually about the powers. I got three different scenes that I had to do for the audition and they were all very different. I felt like it was three different personalities. Now understanding Kali now I totally get it... Yeah, she's crazy. So I mean, I didn't know about her superpowers and I didn't know what actors I was going to work with because all the names were a secret. So I had no idea how she was connected to the story. 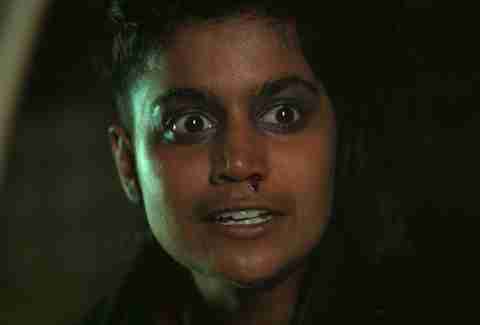 Once you got the part, what did the Duffers tell you about her backstory? Did they fill you in on what you needed to know beyond the script? Berthelsen: We had a few conversations about it, but it was really about the references from season one to get an understanding about what really inspired them to do what they're doing. I'm a big Star Wars fan and they are as well and I think I figured out that this was kind of -- I wouldn't say it's based on Star Wars and the relationships but it's definitely referenced, and we talked about that. Berthelsen: Anakin loves his mother so much and fights for her life. Suddenly he is not in control of her fate anymore, and she dies. He has to change his perspective of life in order to regain control and for life itself to make sense to him. He also has this enormous fear of losing Padme that makes him turn to the dark side. It all comes from loving someone. Kali loved Eleven with all her heart. When they were kids she would do anything to regain control and kill "those to hurt them." Fear can take people to really dark places, but we need to remember that most of these people simply try to make sense of the world as they see it. Yoda and the Emperor [also] inspired the mentorship between Kali and Eleven. So how did the Star Wars connection influence your performance? Berthelsen: When I did the background story I made sure that it fit the dynamic and the relationship and the way we kind of wanted it to be. I was very aware that the transition Kali's going through because of loss nothing's logical. She's not realistic at all. And that's how I feel Anakin Skywalker is. It makes sense to him because he's so passionate and loves his mother so it makes a lot of sense to him what he's doing and why he's doing it, and I was very aware that there's been a point in her life where she started not to make sense to other people. What did you think about Kali's actions? Berthelsen: She kills people obviously, but I feel like I turned it into something different. I was like, I'm doing this because it's right and that's the only thing I need to know. It's right and it makes sense in my world that if this person is not suffering than the world doesn't make sense. If you're going from that perspective which is kind of a sociopath or psychopath then it makes sense. Did Millie Bobby Brown give you any information from her experience playing Eleven that you brought to Kali given that the characters have gone through similar things? Berthelsen: I listened a lot. I saw how she was doing things. I feel like we traded the dynamic as we went on. Sometimes we would ask each other, "What do you think of this what do you think of that?" I think the most important part of it is Millie sometimes she would be like, "Eleven wouldn't do that." And then I instantly know, "OK." She could say that to the director, "Eleven wouldn't do that." She was so comfortable with Eleven. I learned from that. 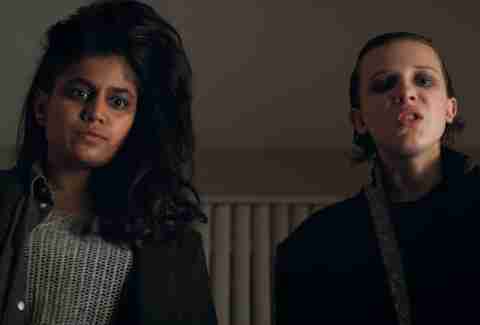 Kali and Eleven go their separate ways, but in the finale you definitely see Eleven taking Kali's instruction to heart. Do you see them as still bonded? Berthelsen: Yeah, I think definitely. Something happened between them. And I think it's something that neither of them can let go of. They kind of need each other to support. Eleven definitely made the right decision to leave Kali at that point because it was not a healthy environment to grow up in or to be in. I feel like they learned a lot from each other, and as you can see by the end of the episode, Kali is really upset and for the first time she doesn't understand how to handle a situation like that. She's used to ruling everything, she knows how to do things and this time she can't really do anything, she's not in control anymore. Do you know if Kali will be back in Season 3 and if we'll get to see more of their relationship? Berthelsen: We don't know. I hope so. But we don't know. I think we have to really trust Matt and Ross. They know what they're doing and they're going to do what's best for the story. If we see Kali again do you think she'll be altered because of that experience? Berthelsen: If we are to see Kali again, I'm sure that she will be affected and something definitely changed in her. Something changed in that moment when Eleven left her. Esther Zuckerman is a freelance writer and Broadway fanatic, who sings showtunes in the shower. Follow her on Twitter @ezwrites.